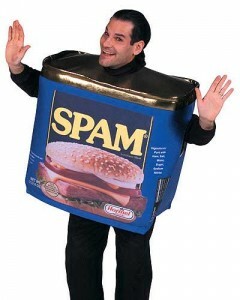 SPAM 30 years anniversary | Tech for Lunch! It was thirty years ago, on May 3rd 1978, that the very first spam message was sent out. I’m not sure if this is a wonderful event to remember, but the first message was not of malicious intent contrary to the ones we sometimes get today. Back then, the internet as we know it today was not quite born just yet.. The network was known as the Arpanet and was still government-owned. According to Wikipedia: “The ARPANET (Advanced Research Projects Agency Network) developed by DARPA of the United States Department of Defense, was the world’s first operational packet switching network, and the predecessor of the global Internet.” While I was digging around for this story I ended up reading a few documents on the origins of the internet and it’s original purpose and I’ll probably write an article about all of this later on. 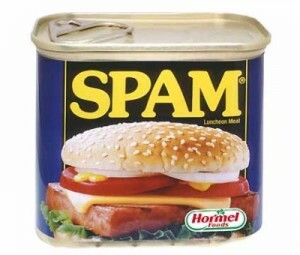 Let’s get back to the subject at hand, the first SPAM message. Gary Thuerk, the guy who sent the message had to use a text-based email client (there was no Windows at that time ;-)) and had to type all of the addresses manually. Compared to today’s spam attacks, it was a very limited number of recipients. It was an advertisement (or actually an invitation to come see) for the new DEC Computers. DEC does not exist anymore, but not because of the spam. The message was sent to a whopping 393 people and was not sent without problems. The person who sent the message was not very familiar with arpanet and its rules, nor with the software to send messages. He typed in all the addresses in the TO: field but after 320 names, they started overflowing in the body of the message. The first recipients then received the email with a bunch of addresses before the actual message. When they figured out that the last 73 names had not been included in the first broadcast, they sent another one! The response was not very friendly to Mr. Thuerk’s pioneering message. Because the Arpanet was only used by researchers and the U.S. Military, he received many replies telling him that the system was not for his business purposes. In fact, he had managed to connect one of his DEC Computers to the Arpanet, which was also a violation of the rules. It was approximately 10 years before another spam message was sent out in another form, and the evolution of spam followed the networks. Spam was used on Bulletin Board Systems (BBS), and today as we know it on the internet, where they account for about 90% of all emails sent in one day. You can see the full transcript of the original message as well as many of the replies that followed here.